Ritu from But I Smile Anyway invited me to participate in this challenge. Five Photos, Five Stories. It sure makes thinking up content a little easier, at least for my next five posts. Like most challenges, it isn’t without rules, or better said, a loose set of guidelines. Attach a story to the photo. It can be fiction or non-fiction, a poem or simply a short paragraph – it’s entirely up to you. For my Day one nomination, I’m going to nominate the latest blog that I’ve followed, so I’m calling out Queen Aej from Conquering My Own Castle. 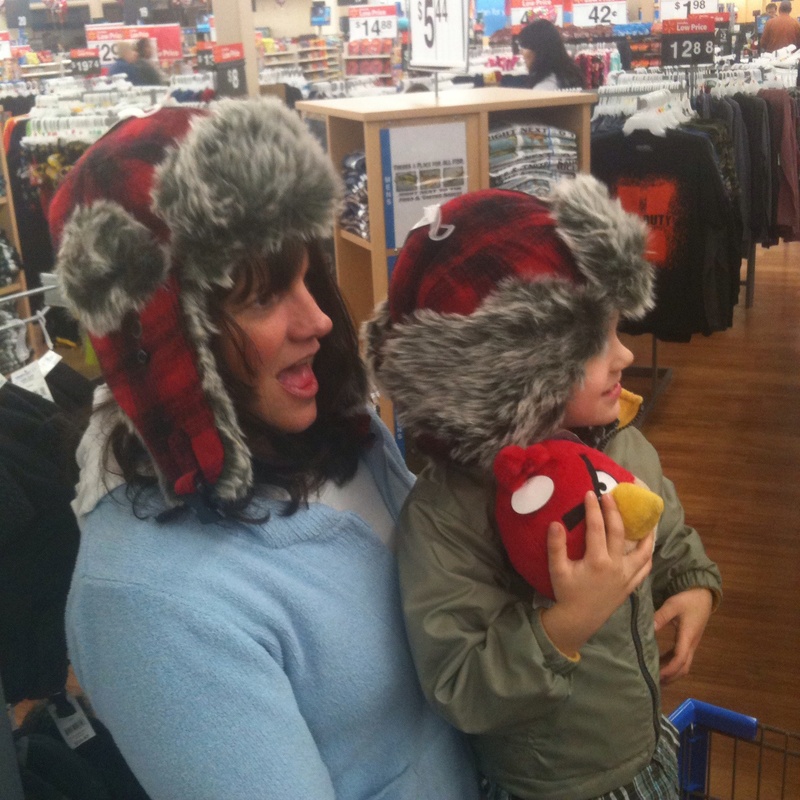 Photo One: This is my son and I a few years ago hanging out at Walmart. This wasn’t just any old shopping trip. 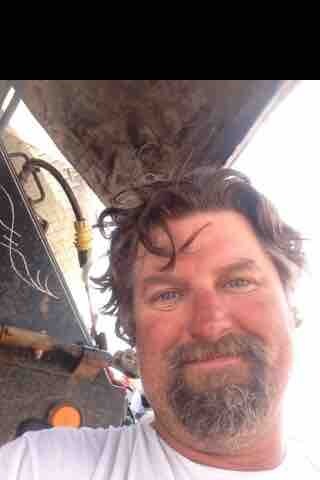 We were outfitting my husband for his new job in the oilfield. He was leaving us the following day for North Dakota and an entirely different climate from our sweet Georgia home. My favorite picture of my man looking all gritty! This brave move came about because he was courageous enough to follow his dream, not only for him, but for our little family. Since the 2008 economic disaster, he and I had been working our asses off to catch up, to establish some form of stability. We were doing this with jobs that weren’t the most lucrative, trading most of our time for just enough of a living. Then he heard of the oilfield and the jobs that paid better. We researched as best we could. At the time, the Bakken Shale was at the height of it’s boom, men moved there from all over to find their fortunes drilling for black gold buried deep withing the rocky shale. They came, they lived in their cars until they found employment in a brutal below zero environment. As luck would have it, I belonged to an online community of women. It seemed natural to use that forum to find a contact whose husband was affiliated with drilling in the Bakken. That is how we met Lawry and her husband Steve. That connection led to a job offer and off my husband went. Saying goodbye to him was reminiscent of women sending men off to seek their fortunes throughout history. To the West for land, to seek gold, I had visions that he was headed for a life that was similar to one depicted in the HBO series “Deadwood”. His work days became long, averaging 18 hours. His work was often dangerous, in fact, one of the most dangerous jobs in the country to hold. He lived in a Man-Camp sharing a double wide trailer with ten other guys. They slept in bunks with five to a room. He worked like that for two week increments in freezing temperatures. I revisited the world of independence, I was solely responsible for everything back home, bills going out on time, the care and feeding of three dogs and a little boy, and lawn care. It taught me to appreciate what he does to help our little family at home, as well as appreciating his sacrifice by being away. In the beginning, he worked for two weeks and came home for two. After a short while, he was laid off and took a non-rotational job that kept him away from home for six months. Our main communication during that time was by phone or Face Time. Toward the end of that job, my son and I went to visit him and we took the best vacation in Montana, visiting Big Sky and Yellowstone, as well as seeing what his life was like in Williston. This entry was posted in Blogging, Family, Five Photos Five Stories, Motivation, Musing and tagged family, mancamps, marriage, Montana, North Dakota, oilfield, separation, Williston, Willston. Bookmark the permalink. Lovely photos and a great story too, It must have been pretty tough for you all with your husband being away. We adapted pretty well. I think the most difficult part was during the time when he didn’t come home at all. I think with video chatting, we may have communicated better than some married couples. Incredible!! You guys are tough and I love that you made the best of the situation. Side note – Yellowstone is so on my bucket list! I’m sure it was AMAZING!! I have traveled a lot in my life, but this was my favorite vacation ever. One day we want to go back and see Glacier National Park. I also left Yellowstone with some awesome buffalo footage! A friend once brought me a Montana “Turd Bird” as a souvenir! It was a dried turd that was turned into a bird. I wish I still had it; it was hysterical! I should also clarify the turd was that of a bison! Not human! Lol!